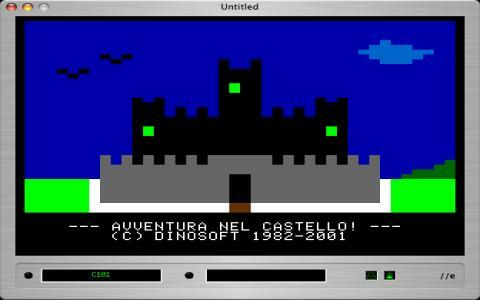 With my limited knowledge of Italian what I gathered of this game was that you're on a journey, similar to Zork, in this medieval castle. You are not looking to evade, but rather to infiltrate it and to find out something about a mysterious death that happened there. Anyway, while I managed the first few puzzles, I got locked after a while and haven't been able to locate a walkthrough. 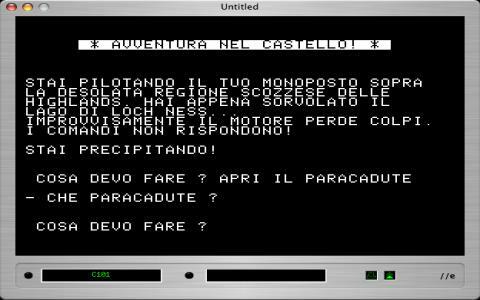 So, what I will say is, if you ever fantasized about walking about in a castle, text based style, and also happen to be proficient in Italian, maybe this game will be a pleasant surprise. Lack a good know how of Italian and you might miss the clues, without speaking of the interactivity which would be impossible absent the language know how. Ultimately, while this review is definitely flawed (sorry, guys!) I think this might be an actually entertaining game, but, I'll first have to brush over my Italian first, something that you too need to do, unless you're already proficient or a native! Else, I don't know, maybe some fan will come up with an English translation that puts this game on the map for everyone!